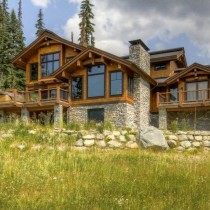 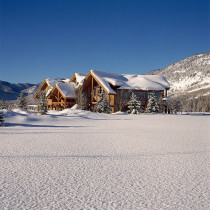 Everyone loves the commanding appearance and unique character that sets a timber frame house apart from the average home. 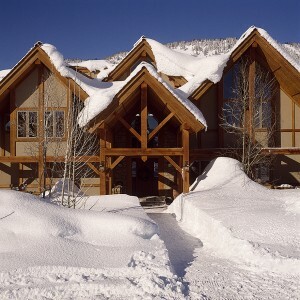 But there’s much more to this traditional building method than its rugged good looks.More resistant to trauma from earthquake, wind uplift and snow load than light frame construction, choosing timber frame means that you’re building a seriously long lasting home. 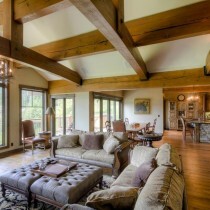 You can see the strength and quality every day. 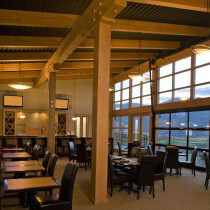 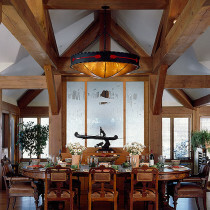 The supporting structure, instead of being hidden, can be observed and examined which encourages careful craftsmanship. 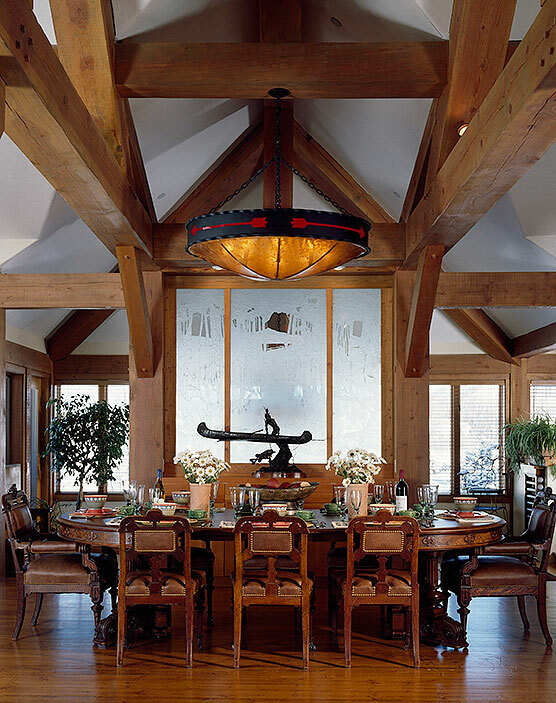 A good timber framer builds art you can live in! 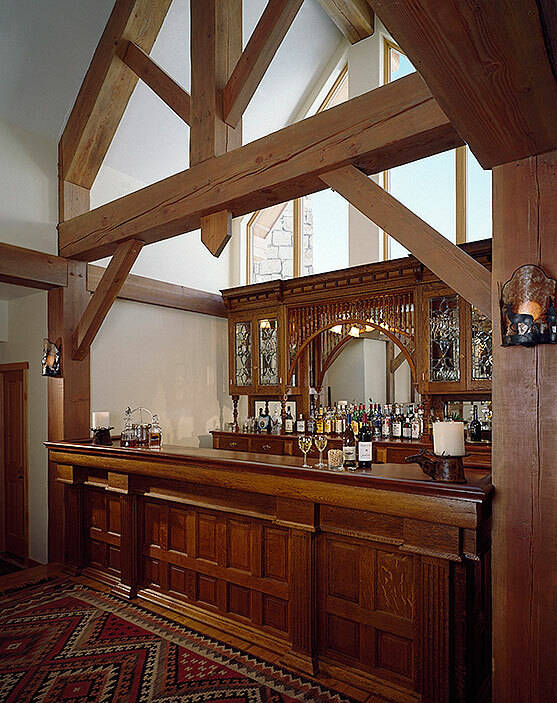 Remaining a popular building method since ancient times because of its strength, versatility and aesthetic appeal, a framework is created from heavy squared timbers (instead of smaller dimensional lumber) skillfully fitted together with mortise and tenon joinery. 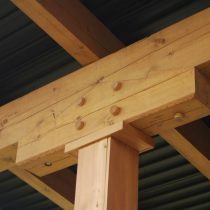 Standard framing completes the home. 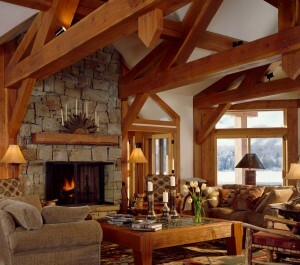 The great range of options available in timber home design give you endless design possibilities. 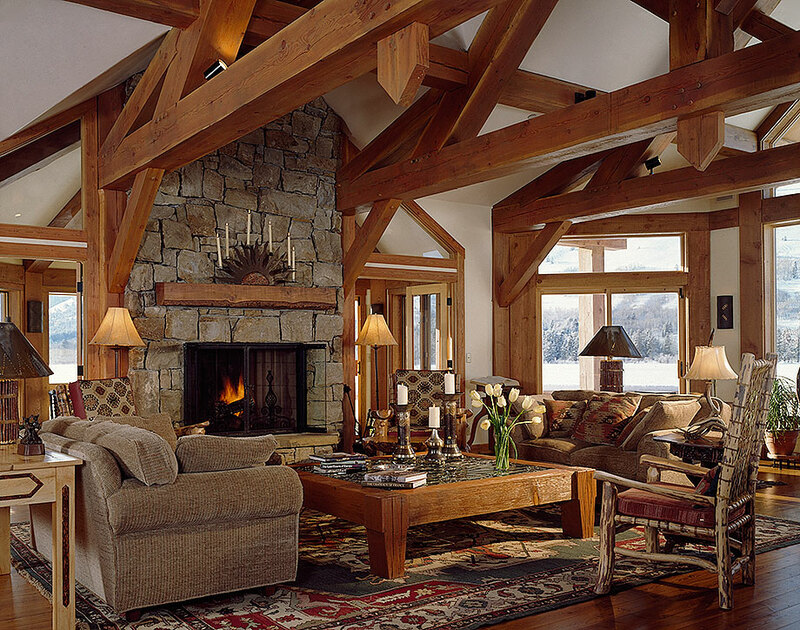 From contemporary to traditional or rustic, timber frame lets your home make a bold statement. 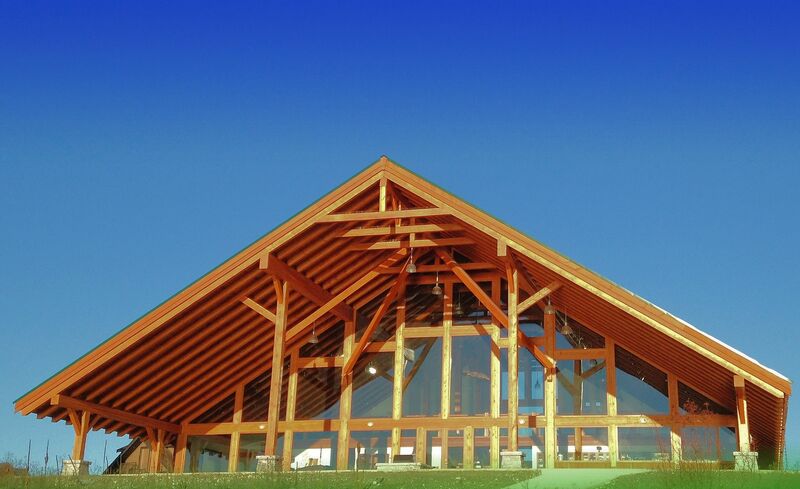 Complex roof systems incorporating dynamic timber trusses or simple large scale beams demonstrate the raw power of natural materials. 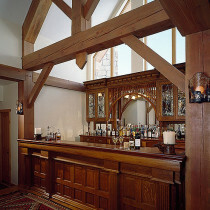 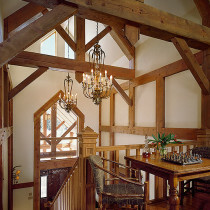 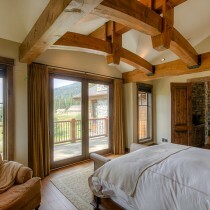 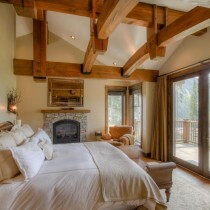 Timber frame is an architectural workhorse adding real strength as well as design interest, texture and character. 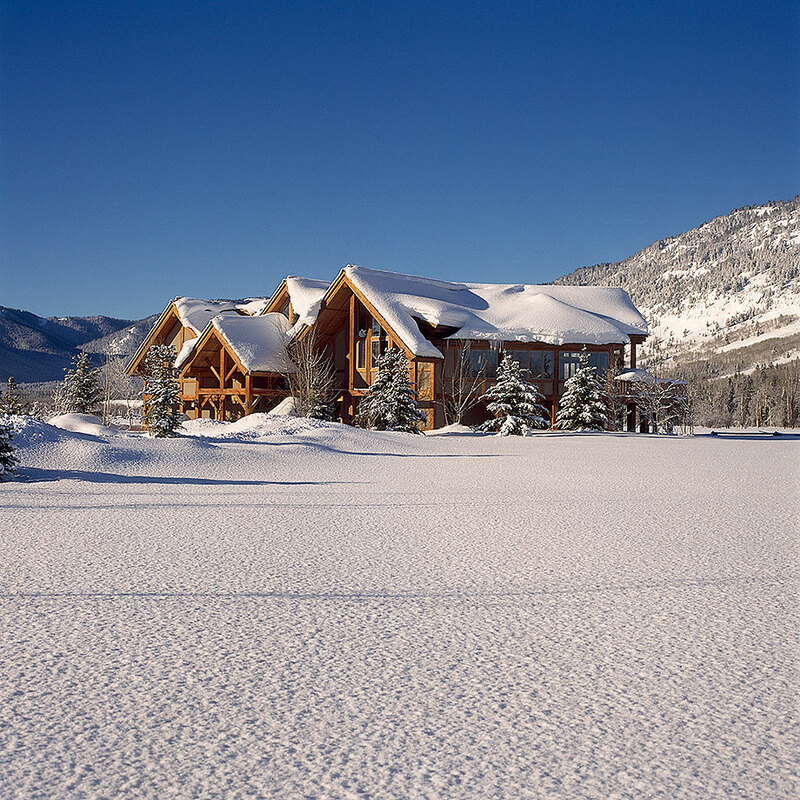 From the shape and size of the exposed timber elements to the degree of structural involvement, every timber home expresses the unique style and taste of its owner. 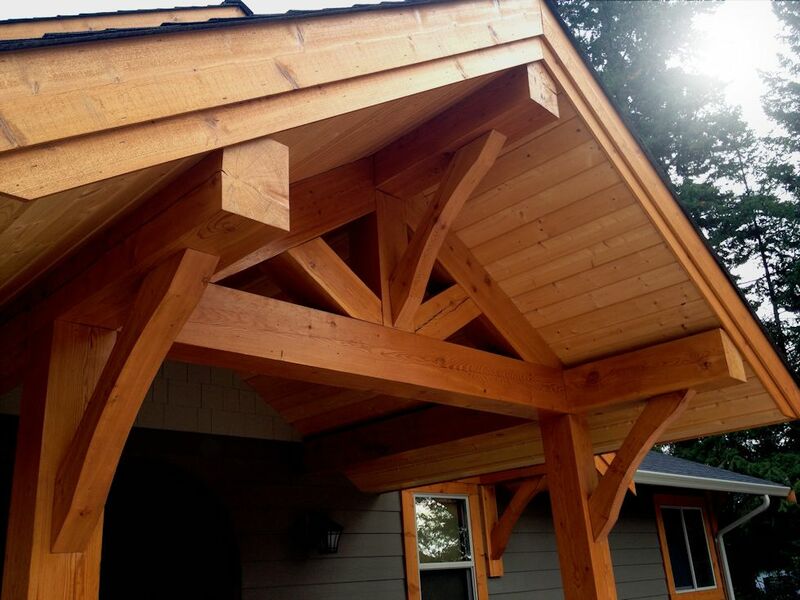 North American Log Crafters partners with your builder to fabricate and install fine quality timber frame or timber accents. 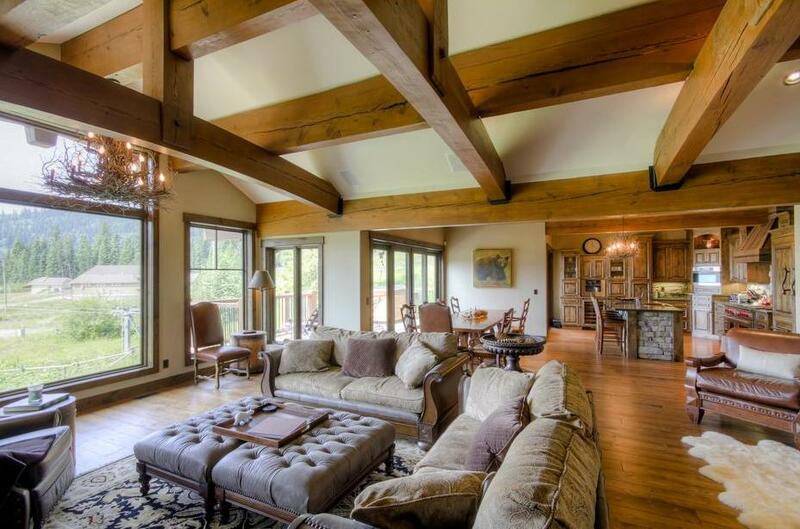 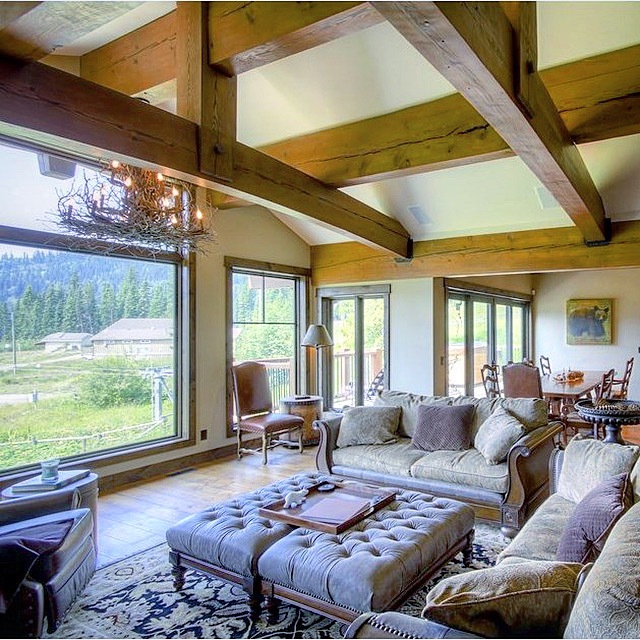 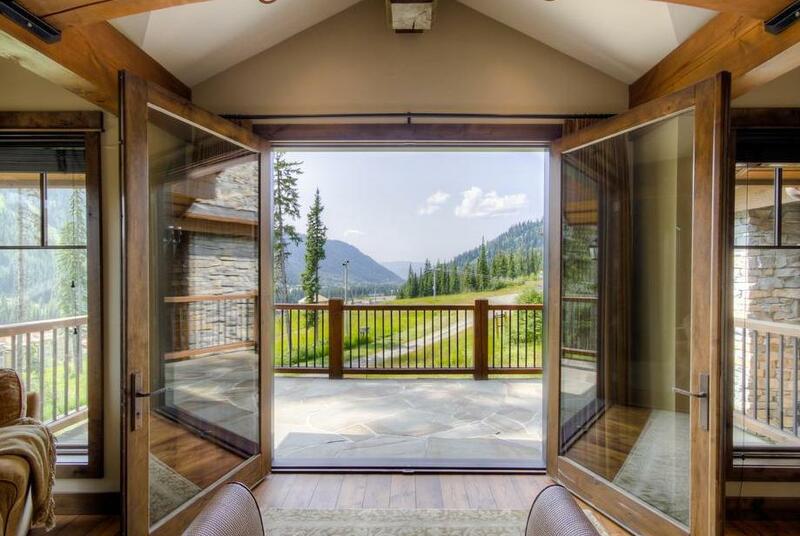 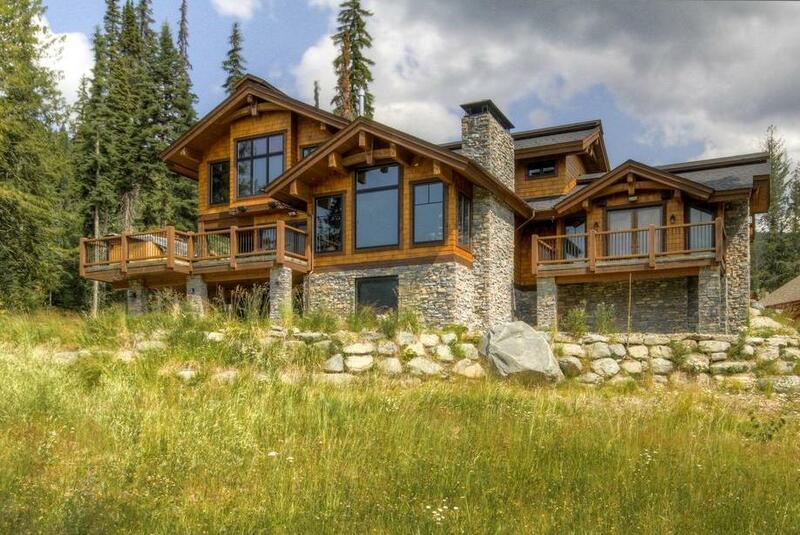 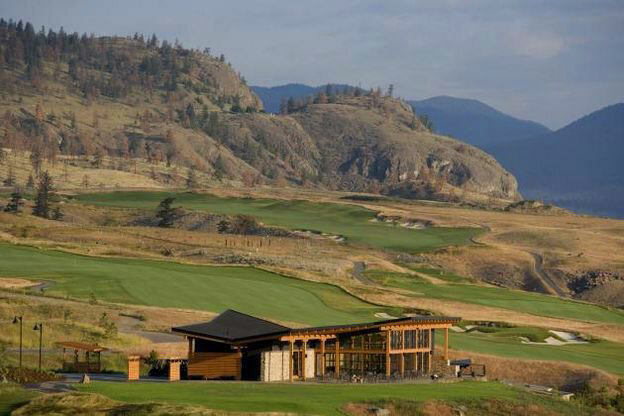 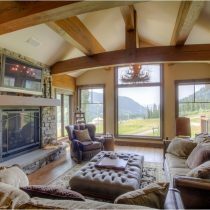 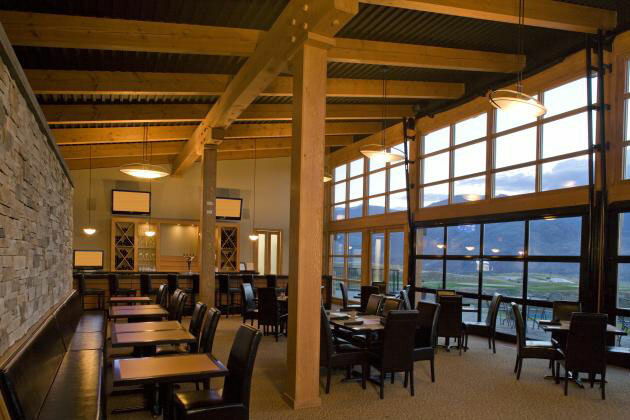 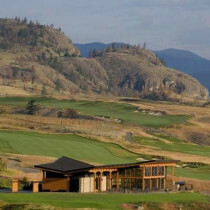 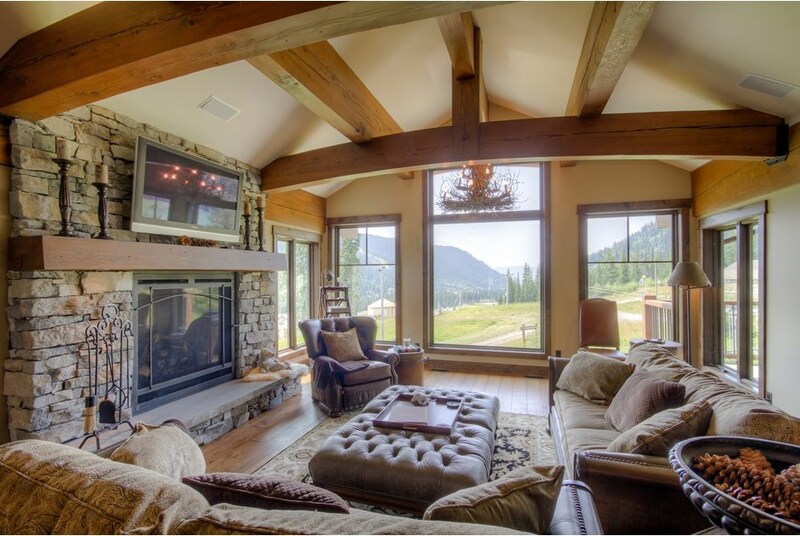 Equally at home in a mountain setting, beside a golf course, along a lake shore or attracting stares on a city street, timber frame creates drama in anything from a hunting lodge or a summer cabin to an urban loft or commercial building. 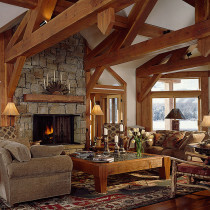 Not quite ready to build a timber frame home but you love the look of timber? 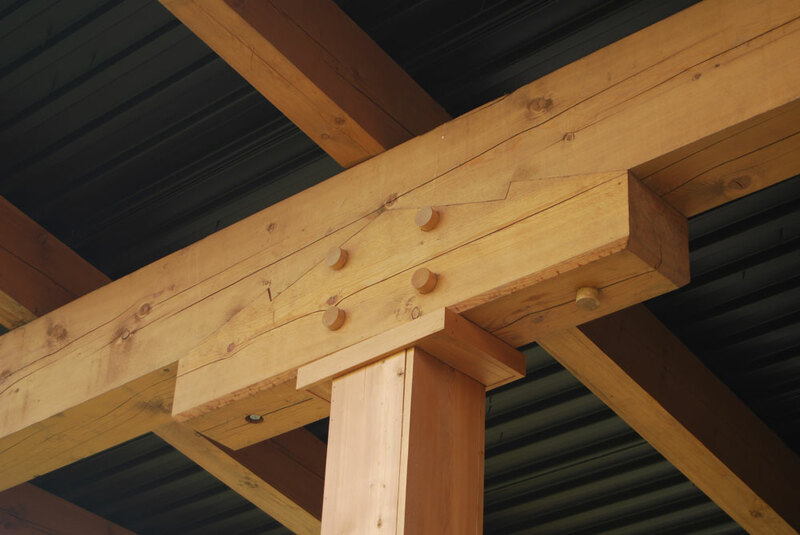 Consider applied timber accents to add stunning character and curb appeal to your home. 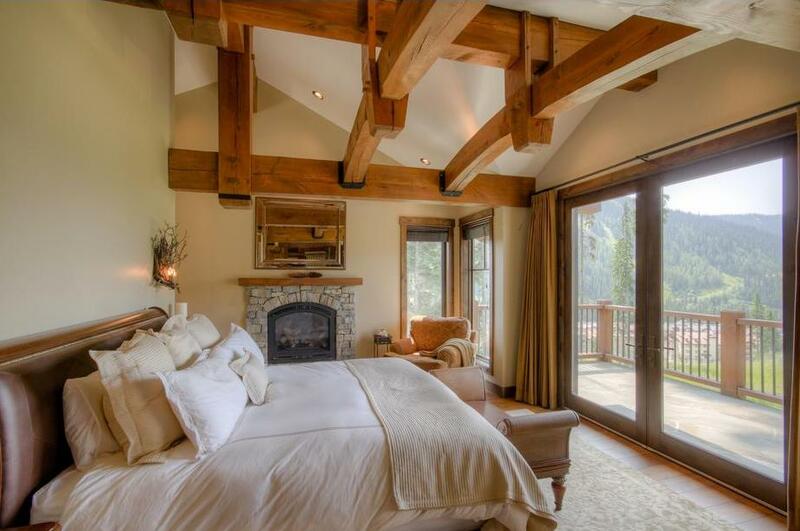 Renovating? 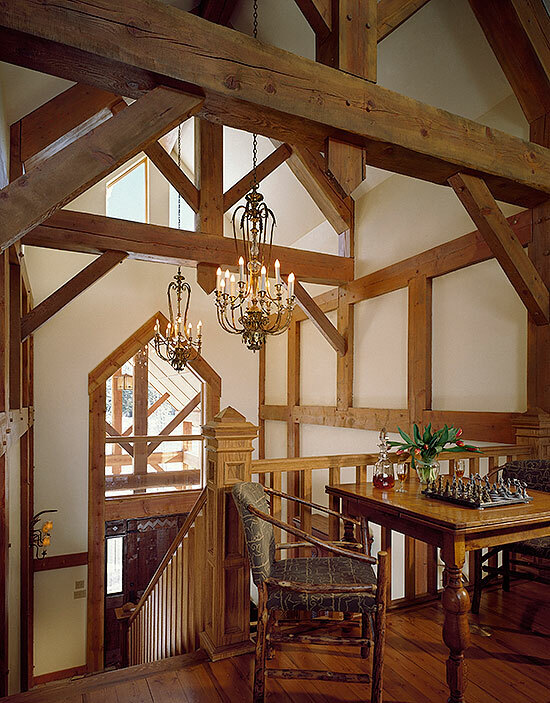 It’s the perfect time to add applied timber beams to your ceiling or transform your entry with decorative trusses handcrafted from heavy timber. 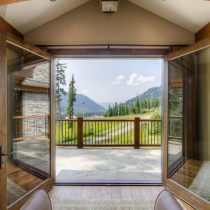 Improving your outdoor living space? 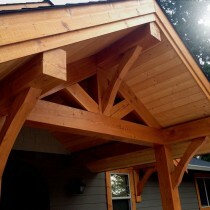 What about a timber frame gazebo to shelter your entertaining area or relaxation zone? 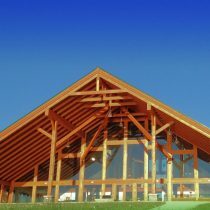 Ask about unique custom timber designs! 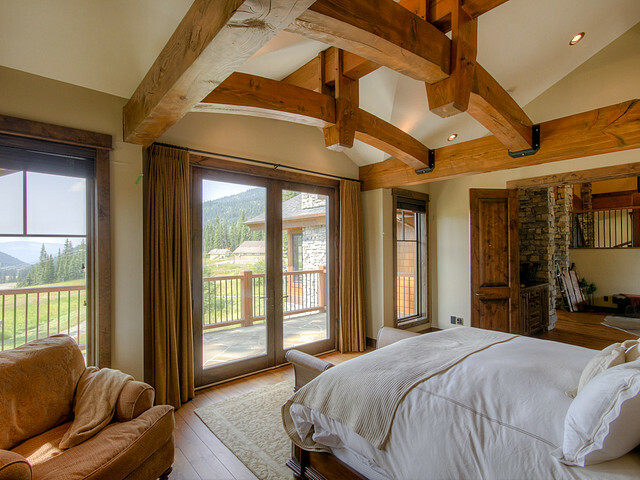 Find out more about premium timber frame for your new home!